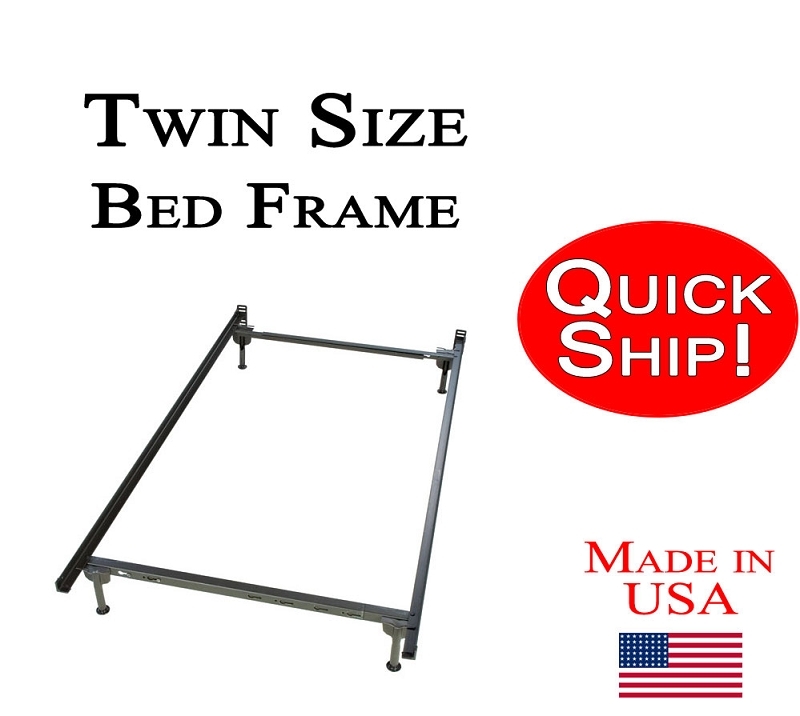 Twin size metal bed frame with floor glides, no tools needed for assembly. This frame comes with brackets at the head of the bed to use with a bolt-on headboard if you wish, it is not necessary. This frame will lift the box spring off the floor 7.5 in. Standard Twin size metal bed frame with floor glides.